Total of 13,724 words and 2,847 unique words. Most frequent words in the corpus: voice (42), said (35), Dupin(27), house (26), head (24). Total of 123,867 words and 8,792 unique words. Most frequent words in the corpus: said (450), old (443), Sir(351), Noel (311), man (288). Total of 103,639 words and 8,452 unique words. 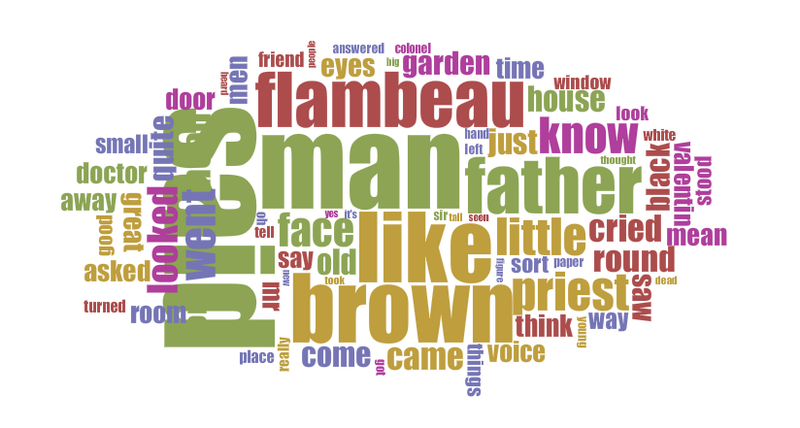 Most frequent words in the corpus: said (532), Lecoq (322), Plantat (307), man (252), know (230). Total of 194,868 words and 10,853 unique words. 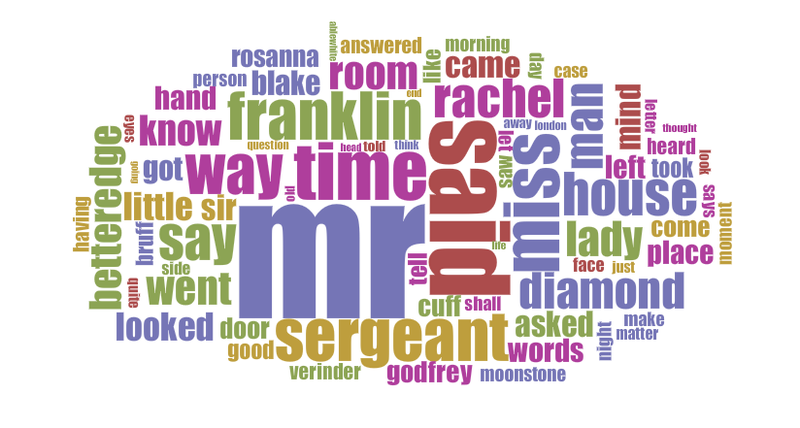 Most frequent words in the corpus: Mr (1,621), said (845), time (545), Miss (497), Franklin (472). Total of 87,748 words and 7,824 unique words. 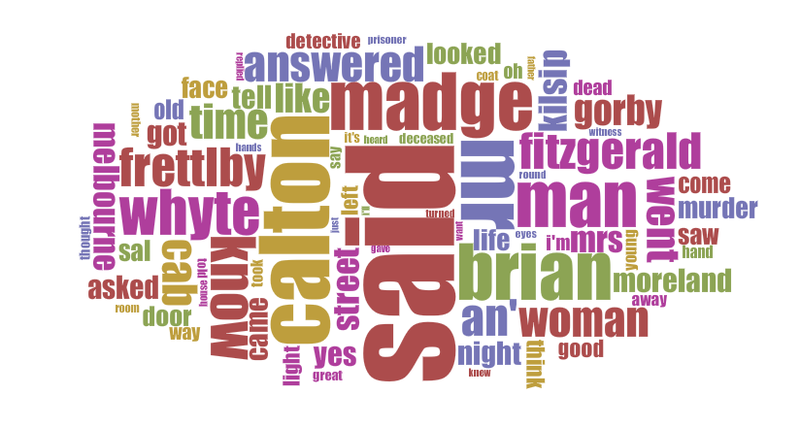 Most frequent words in the corpus: said (669), Calton (381), Mr (304), Brian (293), Madge (257). Total of 43,416 words and 5,859 unique words. 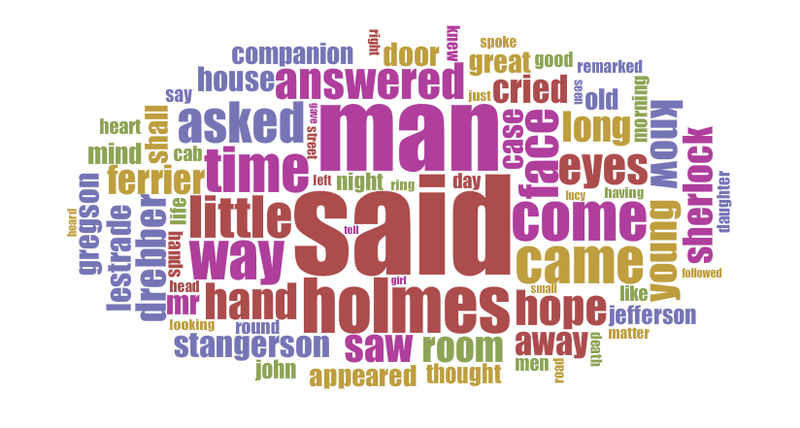 Most frequent words in the corpus: said (207), man (132), Holmes (89), little (82), time (76). Total of 53,901 words and 6,058 unique words. 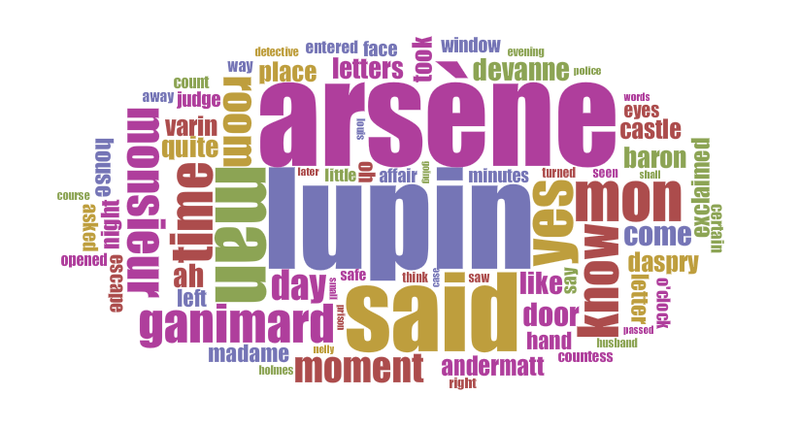 Most frequent words in the corpus: Lupin (310), Arsène(284), said (211), man (132), yes (107). Total of 73,859 words and 5,792 unique words. 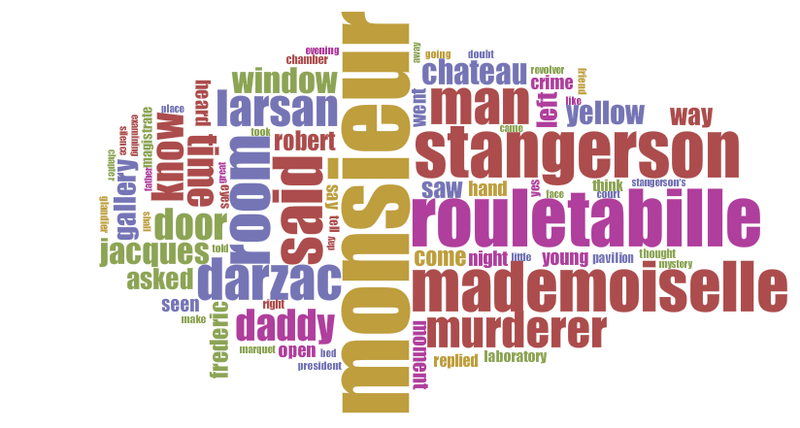 Most frequent words in the corpus: Monsieur (580), Rouletabille (401), Stangerson (350), said (310), Mademoiselle (297). Total of 70,490 words and 7,000 unique words. 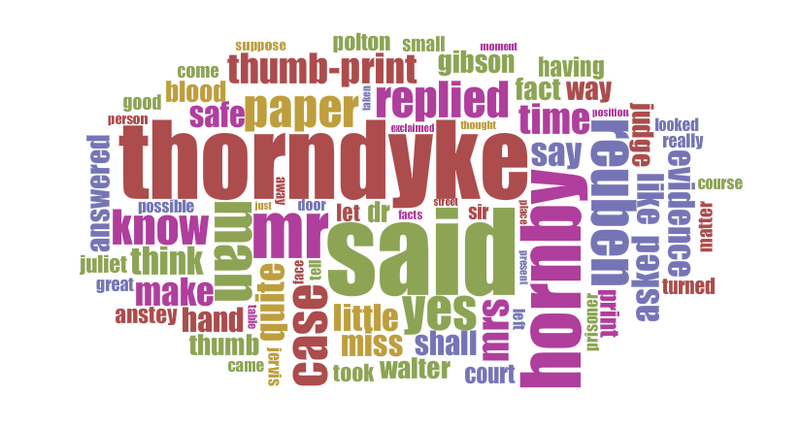 Most frequent words in the corpus: said (362), Thorndyke (312), Hornby (216), Mr (176), Reuben (149). Total of 58,837 words and 6,267 unique words. 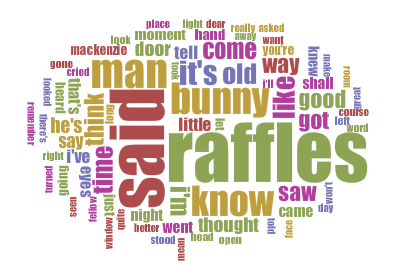 Most frequent words in the corpus: said (629), Johnny (413), Peter (287), man (278), Mr (221). Total of 81,861 words and 9,299 unique words. Most frequent words in the corpus: Markham (670), Vance (662), Benson (332), know (256), said (249).